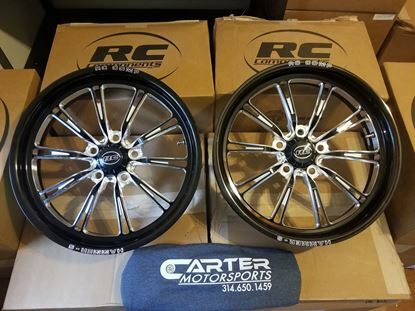 We are the largest RC Components Wheel dealer in the country. We usually always have around 150 wheels on hand to try and save our customers a long wait. Shoot us a message with your sizes for quote. Email sales@cartermotorsportsllc.com Text/Call 314-650-1459 Im extremely busy every day as I'm a one man operation, text message is quickest way to get a quote! Thanks Top of the line wheels made in the USA! SFI 15.2 Certified. Available in multiple width's and offset's. Also available in multiple finishes.